Enchanting 18K gold plated sterling silver earrings with white freshwater pearls. 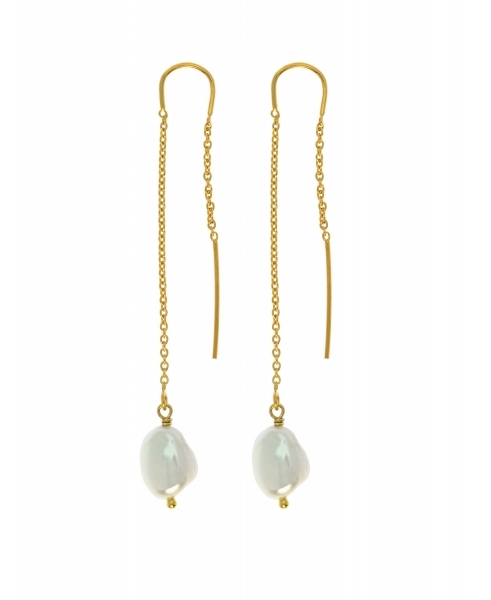 The earrings has a magical expression, and gives you a feminine look. Length of earring: 6 cm.